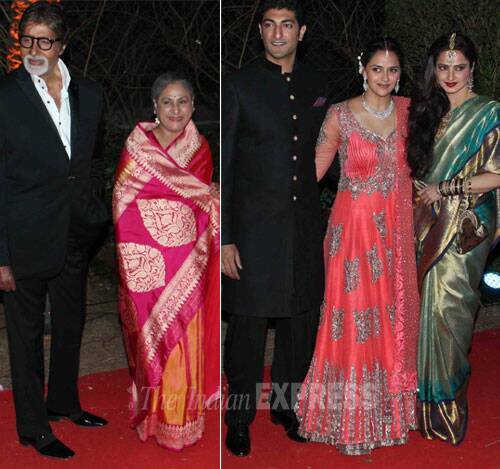 A grand reception was held which was attended by celebs including Big B, SRK, Deepika, Aishwarya, among others. 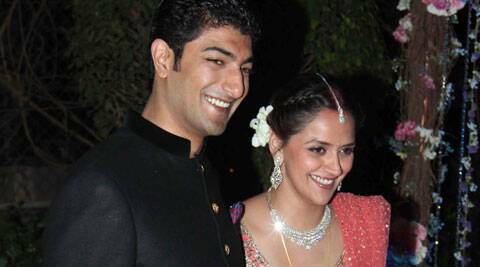 Bollywood couple Dharmendra and Hema Malini’s youngest daughter Ahana Deol married Delhi-based businessman Vaibhav Vora in an elaborate ceremony on February 2. A grand reception was held thereafter at a five star hotel in Mumbai, which was attended by the who’s who of B-Town including Amitabh Bachchan, Shah Rukh Khan, Deepika Padukone, Ranveer Singh, Rekha as well business tycoons. 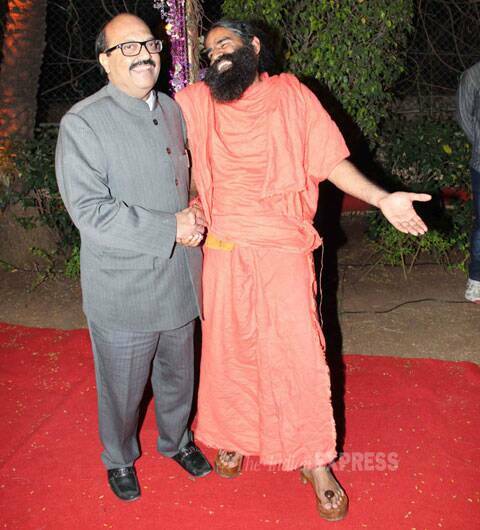 Even spiritual leader and yoga guru Baba Ramdev also attended the wedding celebrations. 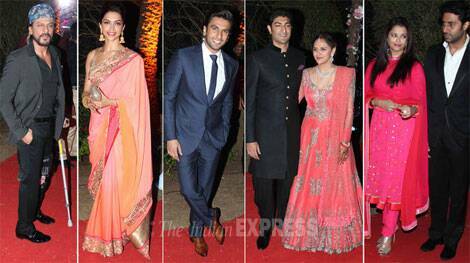 Ahana Deol was beautiful in a peach Manish Malhotra lehenga while Vaibhav Vora was handsome in a black sherwani. 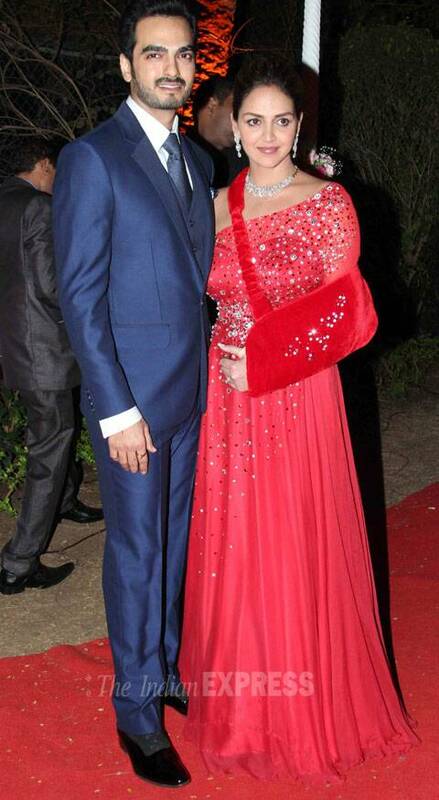 Her sister Esha Deol was seen in a red one-shoulder gown with a matching hand sling. 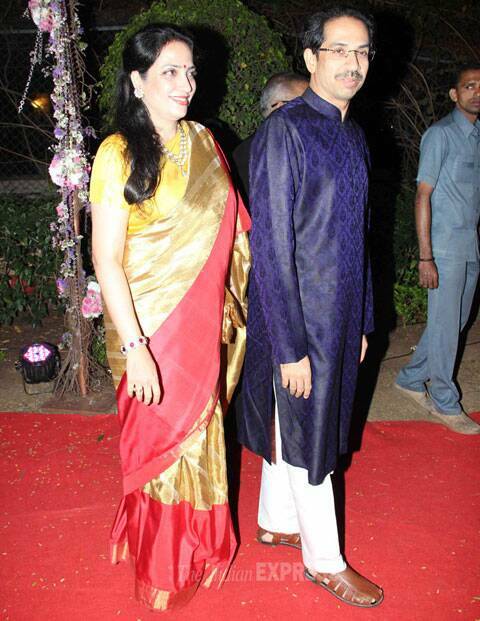 Her husband Bharat Takhtani was suave in a suit. 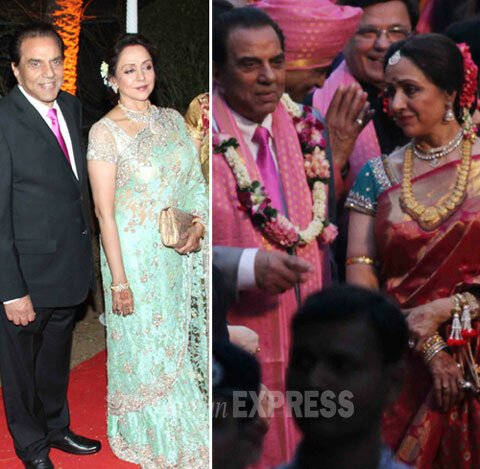 Hema Malini, known was Bollywod’s dreamgirl was beautiful in a sari laden with jewellery. She played the perfect role of the doting mother that she is. 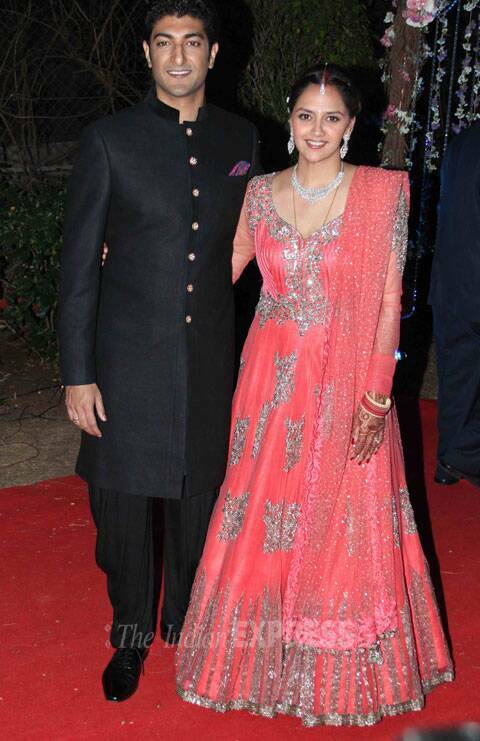 Father of the bride, Dharmendra was snapped looking quite happy that his youngest was finally settled. 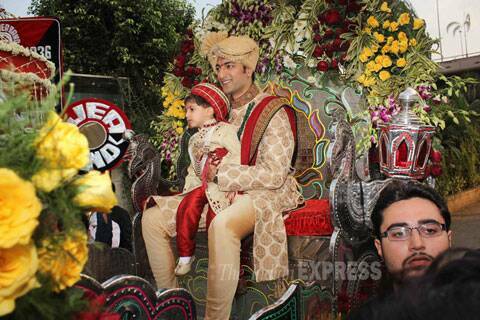 However, the actor attended the wedding minus his sons Sunny and Bobby Deol. The stepbrothers had given Esha’s wedding a miss as well in 2012. The function began after groom Vaibhav arrived in an elaborately decorated horse carriage, and the wedding procession proceeded to ITC Maratha for ‘pheras’. The reception was hosted at the same hotel. The marriage celebrations were a three-day affair. A mehendi ceremony was held on January 31st . Followed by a sangeet which took place on February 1st.